Mar. 9, 2018When life becomes too hectic and the world never stops throwing you curveballs, sometimes it’s time to unplug and recharge. Retreats are often slightly different from resorts in that they offer more of an experience than just a place to crash. In some cases, it may just be a peaceful, remote setting with tranquility-inducing ambiance. In others, there’s more structure to what guests experience, including workshops, group exercises, yoga and meditation, and a number of spiritual and health experiences. Here are a few serene settings around the world to take back your inner peace this summer. I don’t know about you, but when I think peaceful, I think waves and sunshine. This eco retreat nestled in what’s an otherwise thriving tourist hotspot takes you away from the hustle and bustle of gimmicky goods and fanfare to a place of peace. The Maui Eco Retreat is a private oceanfront retreat, nestled on one of Hawaii’s most popular islands. With stunning views, hiking trails, meditation temples, and morning yoga classes, this retreat provides a loose structure, accommodating both those who prefer group interaction and those who prefer solitude. The main house of the retreat offers shared living spaces in a serene setting, but if having your own space is important, the private cottage and stunning Bamboo Temple is going to be right up your alley. Fancy something a bit more adventurous? In the sprawling outback of the remote Karijini National Park in Australia lies an unexpected luxury — the Karijini Eco Retreat. 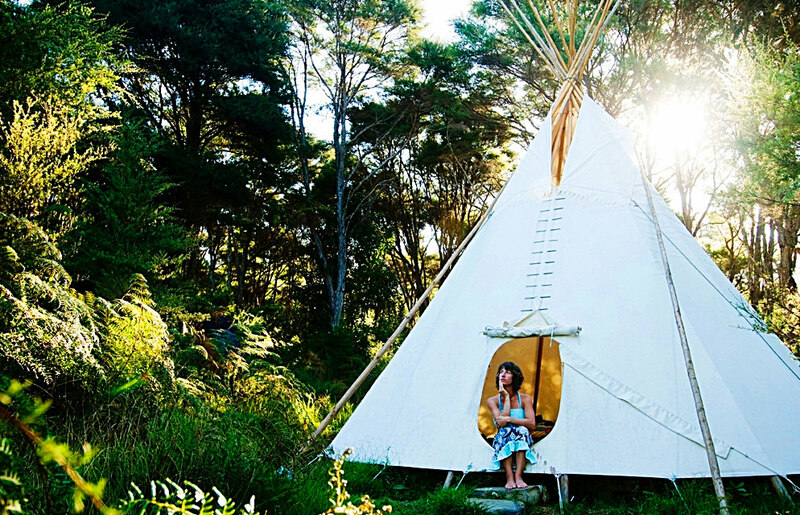 Amid the unique ecosystems present in this part of the world, guests can stay in eco tents, cabins, or on the comfortable campgrounds. When you’re not on an adventure tour with the kids, you can drop the littles off at the on-site kid’s camp for a dinner in the Alfresco Restaurant, complete with authentic Australian cuisine and a full bar. Packed picnic lunches are provided daily for guests as they set out to explore the surrounding geography, including the stunning gorges that carve through the area. If unplugging and connecting with a wild and untamed landscape is what your overwhelmed brain needs, this remote eco-retreat may be the perfect fit. The Monte Velho Retreat Centre is a wonder in and of itself. Situated on the coast of southwestern Europe in Portugal, the area is dotted with dramatic beaches, where dark cliffs and striking landscapes fall into the Atlantic below. The resort is dotted with relaxing temples for yoga and meditation and is powered by solar and wind energy. Water is heated with solar and wood energy, giving guests the comforts of modern living in a serene, off the grid setting. The main house is divided into rooms with private bathrooms, where guests can stay and congregate during the numerous events hosted in this ethereal locale. When you’re not enjoying the live music, yoga, and handcrafted meals during the Yoga and Sound Healing Retreat, you can experience the rugged nature surrounding the resort with birdwatching, diving, fishing, and kitesurfing. In this lush island setting accessible only by boat, guests of the Pura Vida Eco Retreat stay in the quaint fishing village of Yelapa. The Palapa-style accommodations provide a closer-to-nature experience, with mosquito nets in each structure to keep guests comfortable. Despite the remote nature of the retreat, hot showers are still available, along with LED lighting, delicious local organic foods, and hammocks, where you can sway as you fall asleep to the sound of the sea below. The upcoming Holistic Healing and Personal Transformation Retreat hosted here features a wide variety of rejuvenating activities for participants, including an optional juice cleanse, daily meditations amid the tranquility of the tropical surroundings, acupuncture and acupressure, breathwork, and even spiritual life coaching. When you’re not attending workshops and sessions, you can get a relaxing seaside massage and enjoy a handcrafted meal, made from foods of the island. If you’re looking for an interesting eco-abode stateside, the Headwater Eco Retreat Jupiter may be just what you’re after. Though activities abound in the unique area where land meets sea, this is more of an eco-resort than anything. Made of upcycled shipping containers, this unique getaway is situated right on the headwaters of the scenic Loxahatchee River, which due to its unique ecology, is home to some of the country’s most fascinating endangered species. In addition to kayaking and snorkeling, guests can embark on eco tours and water taxi travels to explore the surrounding area. In this lush ecosystem where salt and freshwater join, guests can see firsthand fascinating wildlife like manatees and wood storks, and traverse dense mangrove jungles via kayak. The western United States is home to some of the most rugged and untamed landscape in the country. There’s a certain solitude to these unique, desolate landscapes that you won’t find anywhere else. At the Shash Diné Eco Retreat, guests go completely off-grid, and with just their thoughts and the stars, become one with the stark landscape of this unique Arizona glamping experience. Tucked away on a working Navajo ranch, guests are surrounded by stunning views of the Vermillion Cliffs and Echo Peaks. Tent accommodations are available for those who prefer to rough it, along with a cozy cabin, and even sheepherder covered wagons and Navajo hogans. Soon, this off the grid eco-retreat plans to offer guests a unique cultural experience featuring a tour of the ancient petroglyphs that can be found in the area, Navajo stories and food fireside, and a two night stay in the hogan. Bali has become a hotspot for spiritual wellbeing with westerners, and it’s not hard to see why. With lush surroundings, warm local hospitality, and incredible food, the entire area is a veritable paradise worth spending a week or 50 in. Nestled far from the hustle and bustle of southern Bali in a small Balinese rice farmer village, The Floating Leaf resort offers convenient access to the beach and airport, while still maintaining the quiet tranquility sought after by its happy guests. This retreat hosted by mindset coach Julia Virtuoso features 7 days in this seaside paradise full of exercises to build confidence, self-awareness, and mindfulness in participants. Each guest gets three delicious organic meals per day and is welcomed to the retreat with a dinner featuring music and dancing. Included in this mindset retreat is an introduction to Balinese culture, a trip to a local silversmithing village, a special Melikat Purification Ceremony with a Balinese High Priest, and guided yoga and meditation sessions. The Solscape eco resort is an incredible hodge-podge of eco-friendly accommodations, situated in the eclectic coastal town of Raglan in New Zealand. The surrounding geography is stunning, with black sand beaches, waterfalls, and the nearby Mount Karioi — an extinct volcano cloaked in dense forest. Guests of the Solscape resort have a wide variety of choices in accommodations, from upcycled railway cabooses to warm, hand-sculpted earth domes, and even a tipi forest. The campsites are all equipped with solar-heated shower and an indoor-outdoor kitchen, where guests can prepare and feast on foods from an organic, plant-based cuisine. When you’re not exploring the breathtaking coastal landscapes of this New Zealand getaway, you can stop in at the surf school for lessons, pick up a session in the yoga center, or get a massage. In addition to being a place of peace and rejuvenation, Solscape is a resort offering numerous educational opportunities in sustainability and personal development. With mentoring services and a Permaculture Design Course, there’s entirely too much to be gained from a stay at Solscape to allow yourself to miss out.